From here, Neil decided to go down the path of building a HAMBster rather than a street registered hot rod with a flat head motor. 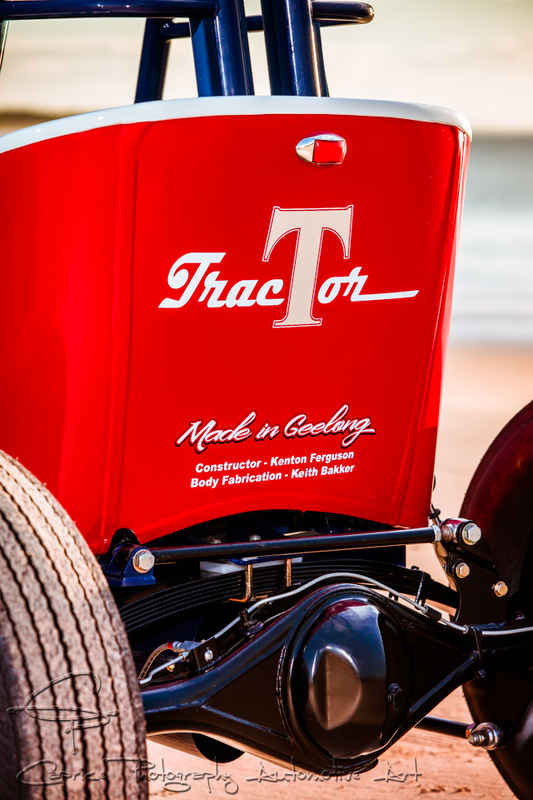 “How this roadster idea all started was back when I was 17, I was right into hot rods and I bought a 37 Ford coupe with a flat head motor. I started to build the hot rod but I never finished the project. I joined a hot rod club called The Thunderbirds Rod & Custom club. 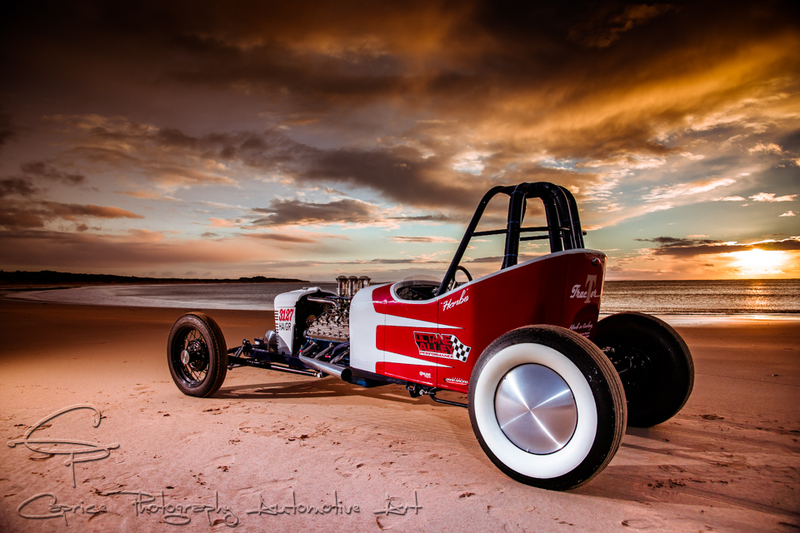 I helped a mate build his car, well I was the gofer anyway, and he joined The Thunderbirds Rod & Custom club so I did too. My theory was that I’d help him build his car and then he’d help me build mine but as soon as we finished his, he headed off to the mines in Queensland, never to be seen for the next 30 years! After that I got out of the rodding scene and went Formula 3 racing. After that I got married and raising a family for the next twenty five years. I always regretted not finishing the 37 coupe” laments Neil. The first flathead motor was sourced from Simon Muntz in Castlemaine, once stripped was sent to Octane Alley in Geelong for the rebuild. Simon recommended Corey Swift for sourcing parts and expert advice and his assistance has proven invaluable. 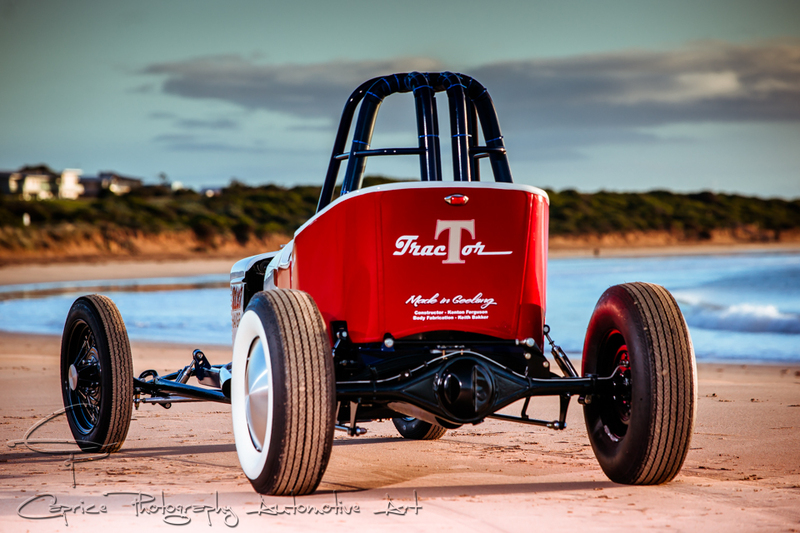 Corey and his father, Peter have a long history in the Australian (and Castlemaine) hot rod scene. 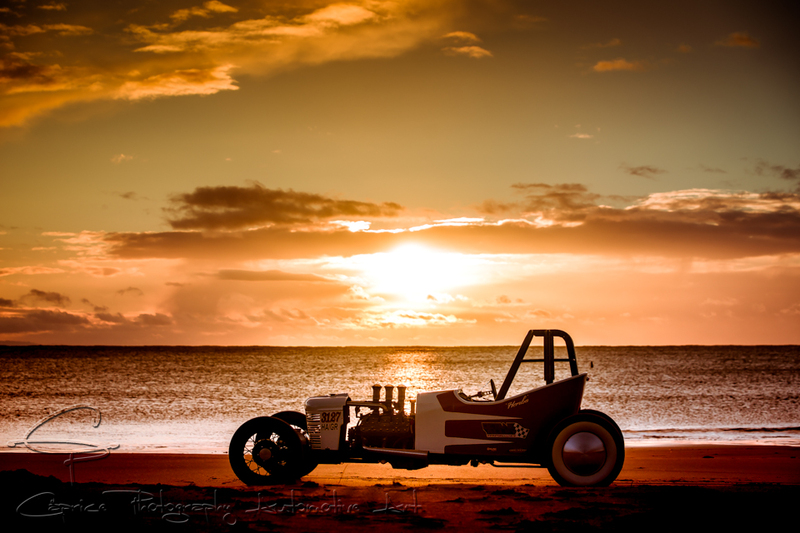 Cory had a mate, Jamie Croker in Canberra who had decided he no longer wanted to journey down the HAMB path and was happy to sell the custom built chassis, 1948 front end, Toyota 4WD diff rolling on Ford rims and Coker tires and real steel 27 T bucket tub along with the Fordson radiator shell to Neil as home for his newly acquired flathead block. After a long slow build of the flathead, which in hindsight was too ambitious for the aging block, it failed on the dyno with water seeping into bore number 6. 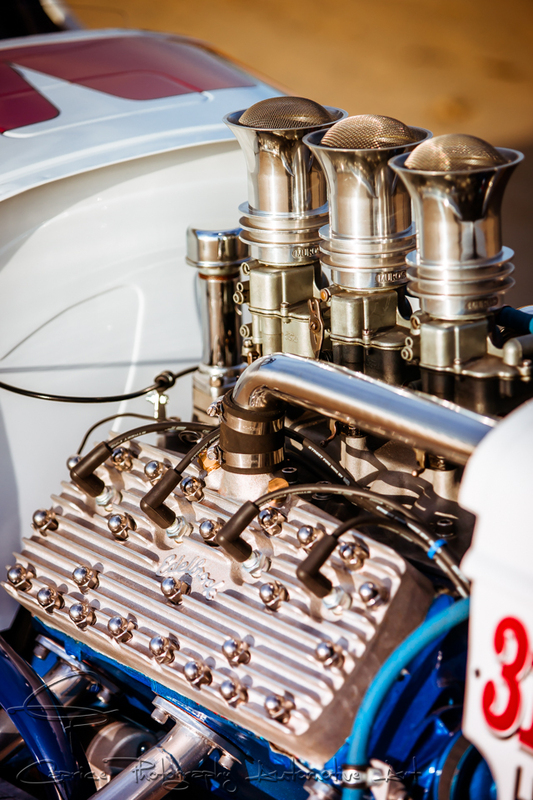 After two further blocks proved inadequate for the project, it was decided to import a French steel flathead from the SoCal Speed Shop in Sacramento. The block itself is new old stock and was built by the French army to power their tanks back in the Second World War. 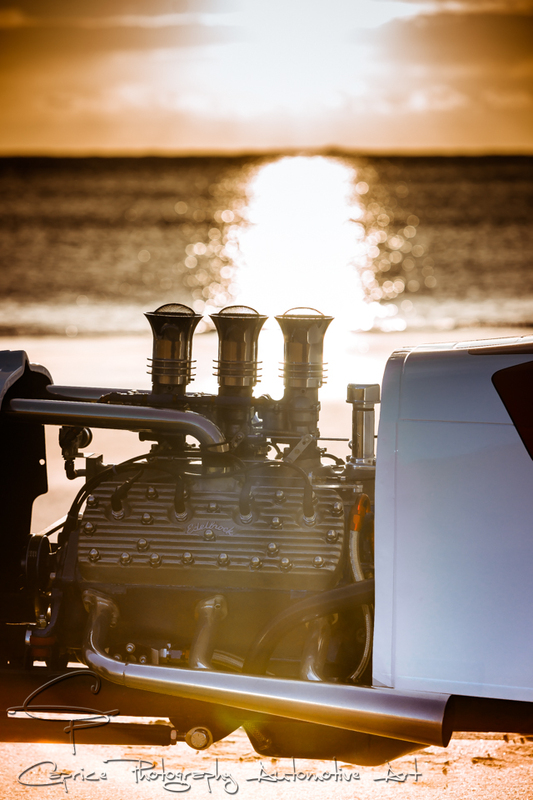 “The French built engine blocks up until the seventies and a guy in America bought all their surplus engine blocks. You know what the army’s like, they need two blocks so they build 2000 and they sit the other 1998 on a shelf. These blocks were cast 50 years ago and have never been used so it made sense to ship one over. The blokes at Octane Alley were top blokes to deal with and really helped me out.” They bored and stroked Neil’s V8 out to 286 c.i. giving the side valve motor a healthy 204hp @ an ear shattering 5000 rpm! Neil already had various parts from his previous flathead encounters including the alloy Edelbrock heads, water pumps and sump to help turn this foreign cast 8BA into a runner. 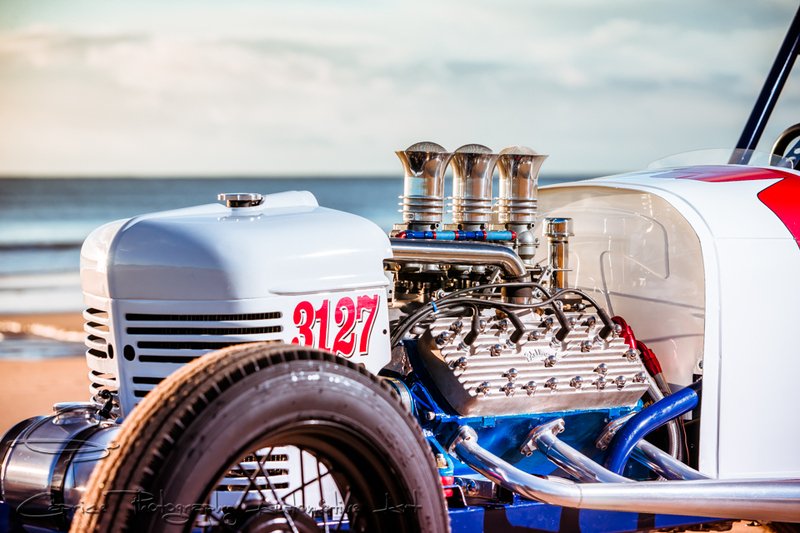 A set of triple Holley 94s sitting atop a Sharp inlet manifold topped with alloy spun Muroc injector style air cleaners complete the new donk. All that was required now was to bolt the 286 c.i. power plant in between the chassis rails of its new home. 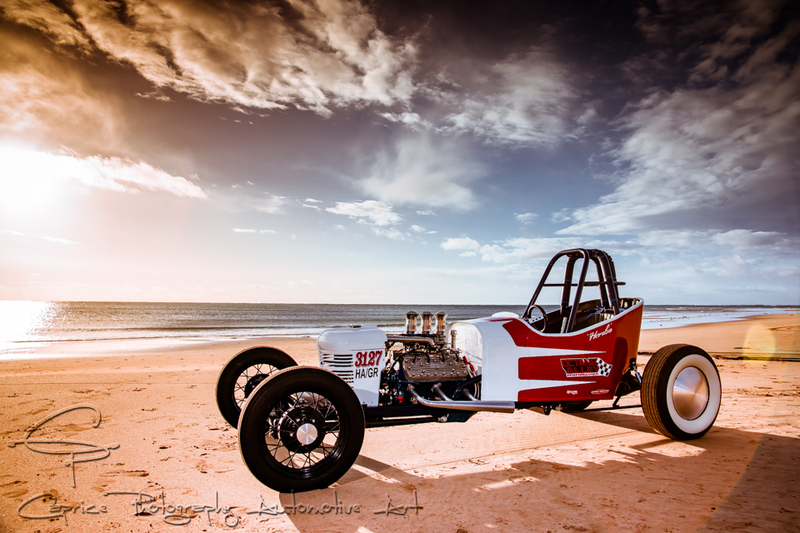 While Kenton’s not into rodding himself, his automotive experience comes from speedway as well as circuit track racing in the Commodore Cup winning the Australian Championship three times in a row on a limited budget while utilising his skills as a fitter and turner and Neil’s machine benefitted immensely from the years of experience and knowledge. If Kenton couldn’t make it, his good mate Langy had the skills to do it. 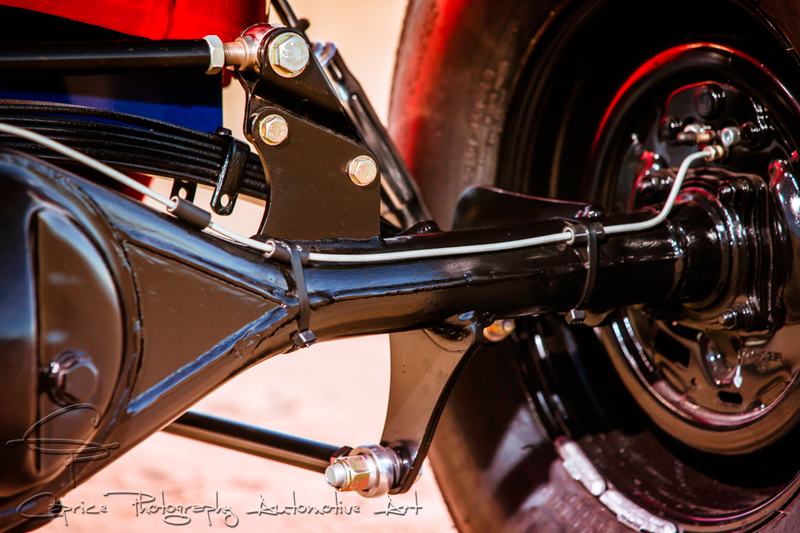 According to Neil, the tolerances on ball joints and steering knuckles can be measured down to the finest of microns giving the driver precise steering when on the go. 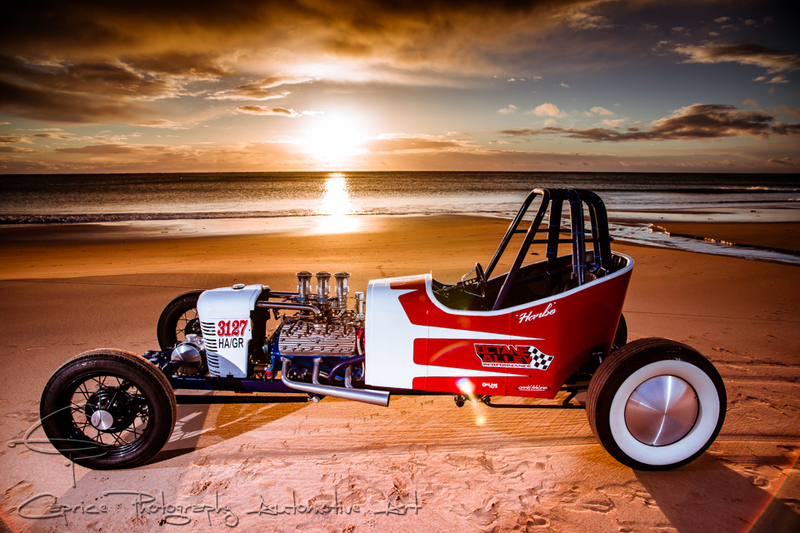 The chassis was originally constructed by Joe Rodriguez in Sydney, one of the founding members of the HAMB racing community. 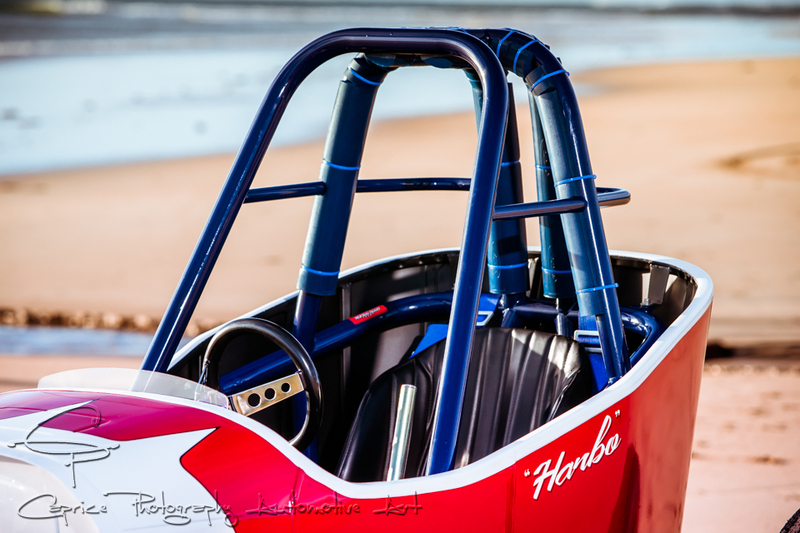 “Joe and five of his mates all got together and decided to start building HAMB racers so Joe built the chassis and built a couple of spares. This is one of them. 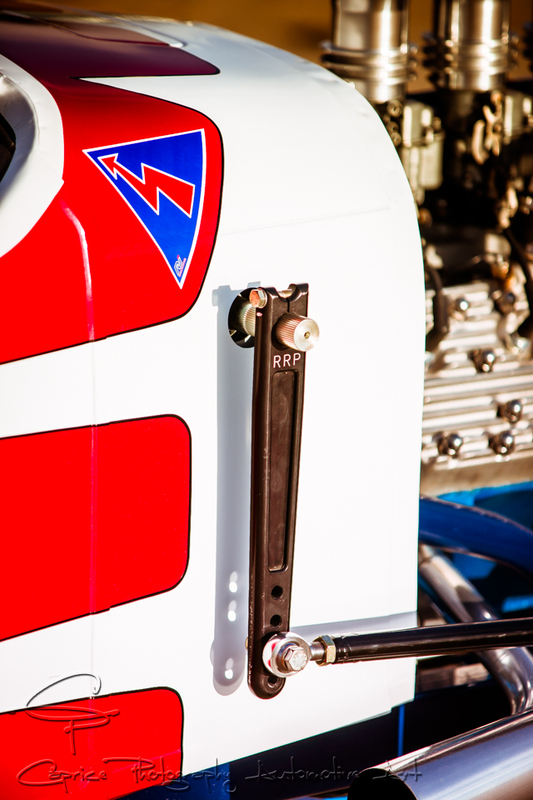 When I say chassis, they only came with two main rails, a couple of cross rails and the tow tongue!” explains Neil. 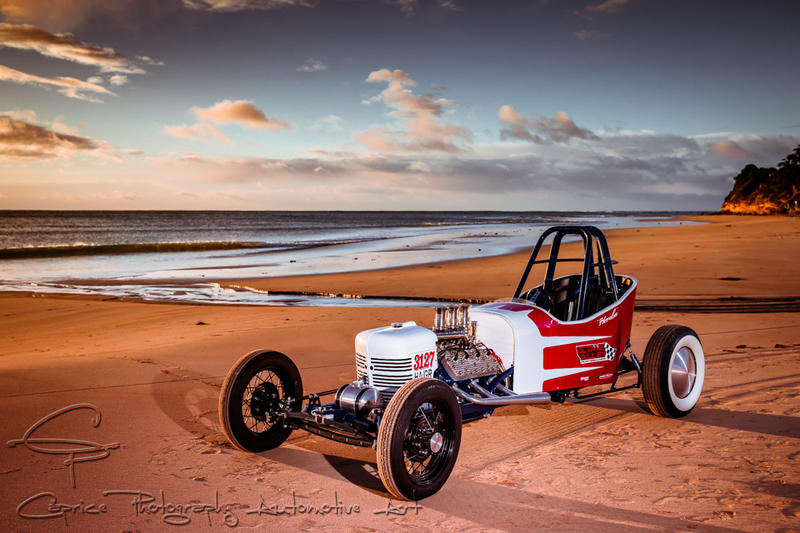 With a healthy motor in a strong chassis, it was time to pick the right gearbox to get the T model racer up and running and Neil decided to think outside the box and settled on a Toyota Hilux 5 speed. 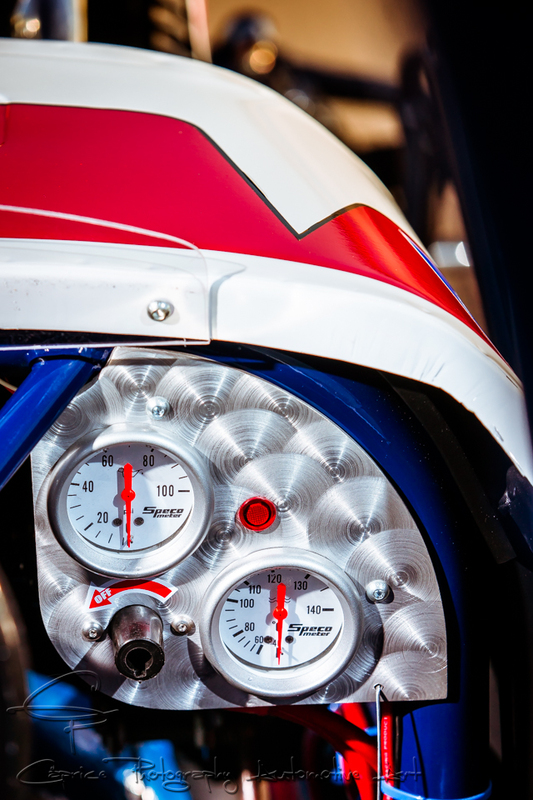 “What I like about the Japanese gear boxes is they’re easier to change and when you’ve got the shifter sitting between your legs, my thoughts were why not pick a box that changes like a hot knife through butter.” A small bend in the shifter and the leather knob was in the perfect position for those fast flat track changes! 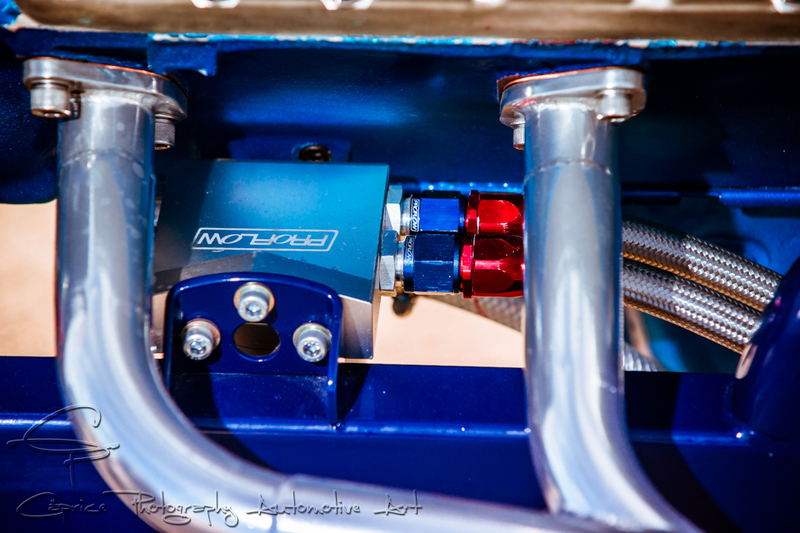 Mating it to the Toyota diff required a short tailshaft from A1 Automotive measuring around 400mls and all encased in an ANDRA spec trans tunnel for safety. 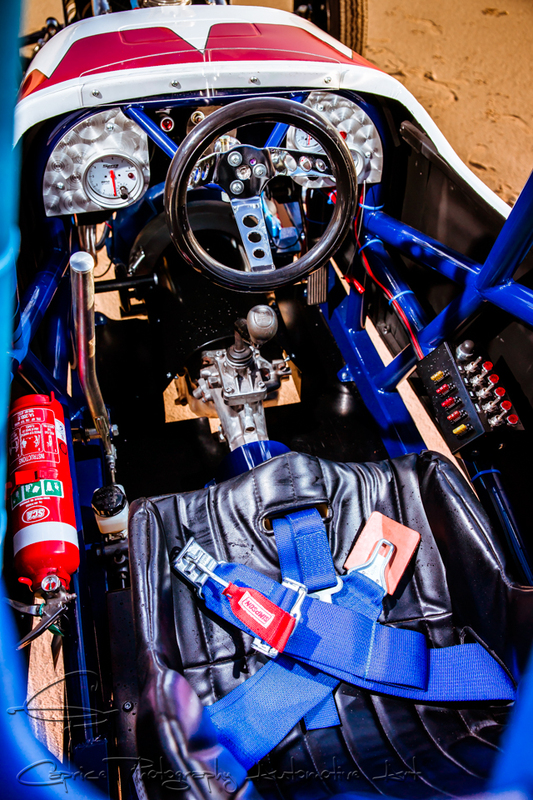 Spark comes from a high performance battery tucked neatly under the radiator keeping it out of the way from disrupting the overall design flow of Neil’s creation while sending power to the starter as well as the one seat cockpit. 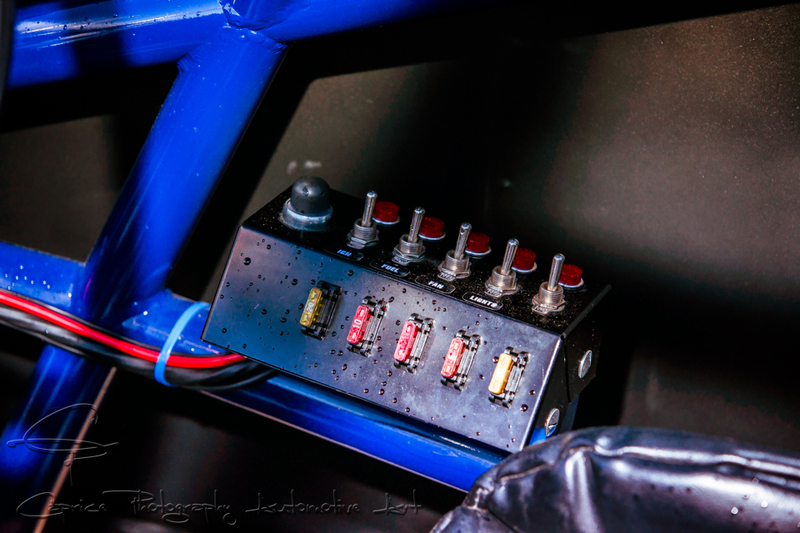 A Moroso fuse box next to Neil’s right hand houses the necessary switches and fuses for easy access while three essential gauges sit in two small alloy panels once again designed by Neil using drafting ideas and creatively turned by Kenton. 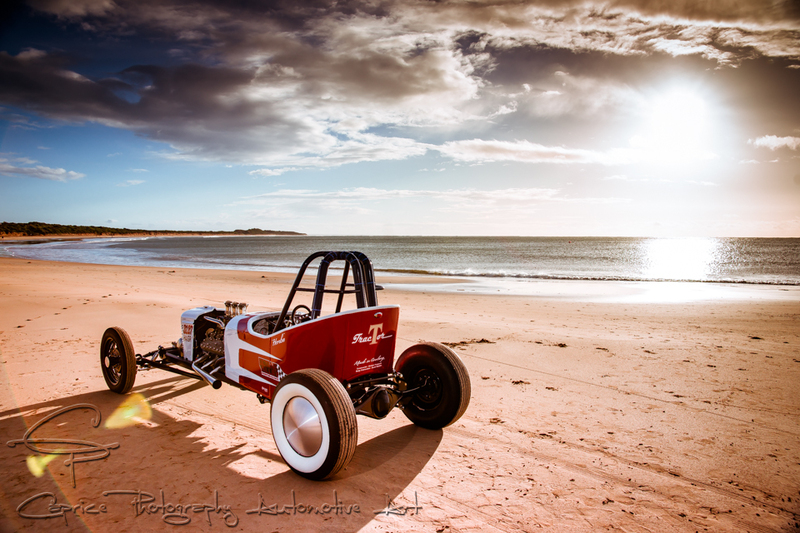 Lack of floor space stipulated that only a hand brake could be fitted and Neil pushes forward on the big stick forcing fluids through a Willwood master cylinder to the rear drums slowing down the 6 inch Coker white wall cross ply rubber mounted to positive offset Ford rims. It’s gotta be much more fun to race the iron than swing the iron! Ask any golfer with a CAMS or ANDRA license!